Whether it’s the best pie at the state fair or the best pie on the block, it all starts with making your own pie crust from scratch. This recipe is for a flaky, melt-in-your-mouth pastry that’s much easier than you might think. 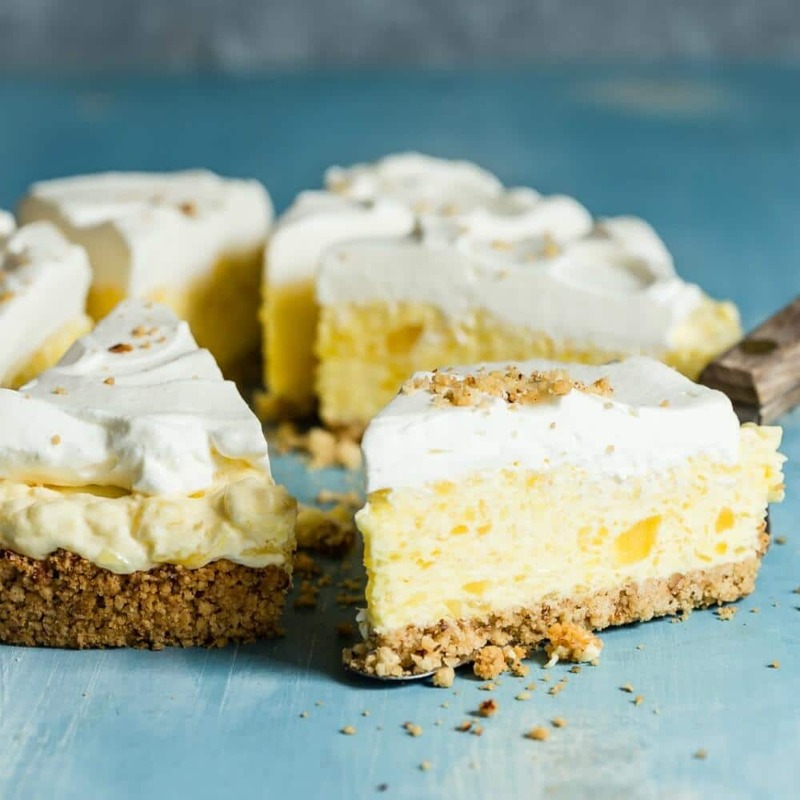 I’ll walk you through how to make a pie crust that turns cake lovers into pie lovers with just one bite. It’s easy to make a pie crust, and there’s no better time to get rolling than right now. 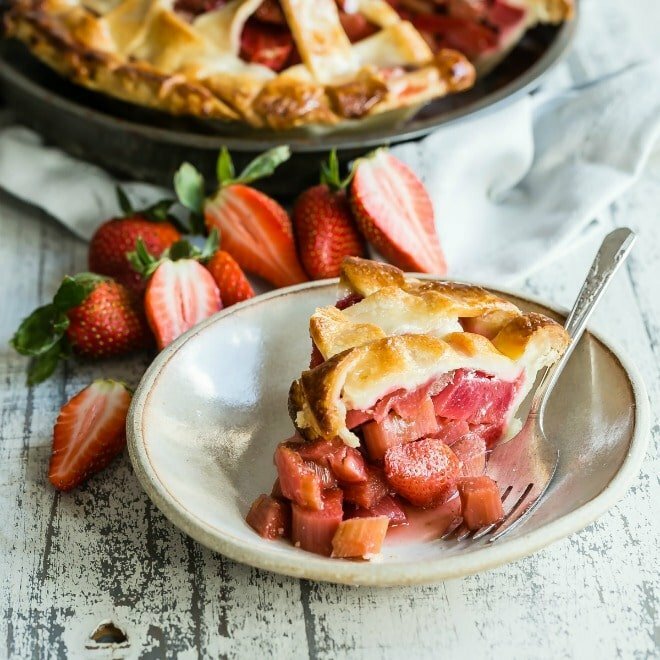 There’s a pie for every season, so begin with this recipe and make a few pies with your favorite summer fruit. In the fall, apples will be plentiful….and by Thanksgiving, you’ll be winning all the awards! How do you make pie crust? At first glance, it’s only fat, flour, water, and a little salt, but the real wizardry is how you put them all together to make the best homemade pie crust ever. 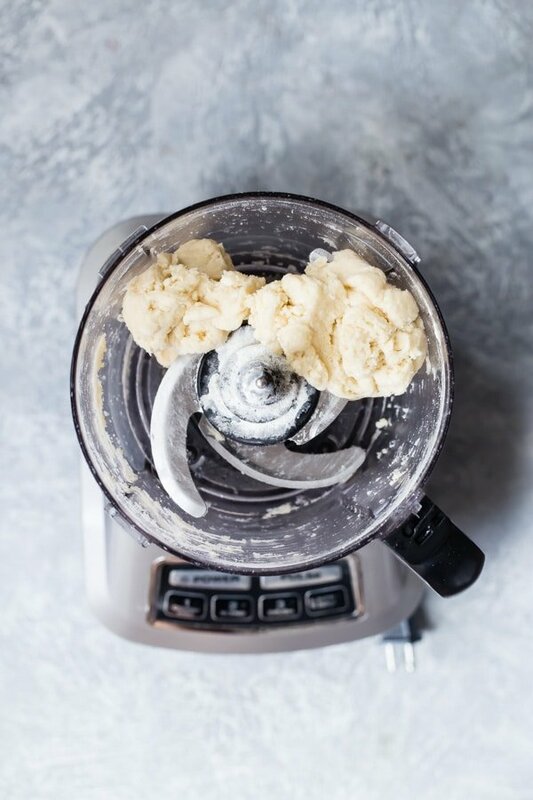 First, the flour and shortening are combined using a pastry blender or food processor, then ice cold water is added in until the dough just holds together on its own. After chilling the dough, it’s rolled out thin to fill your pie shell. Can you use a food processor to make pie crust? Absolutely you can! 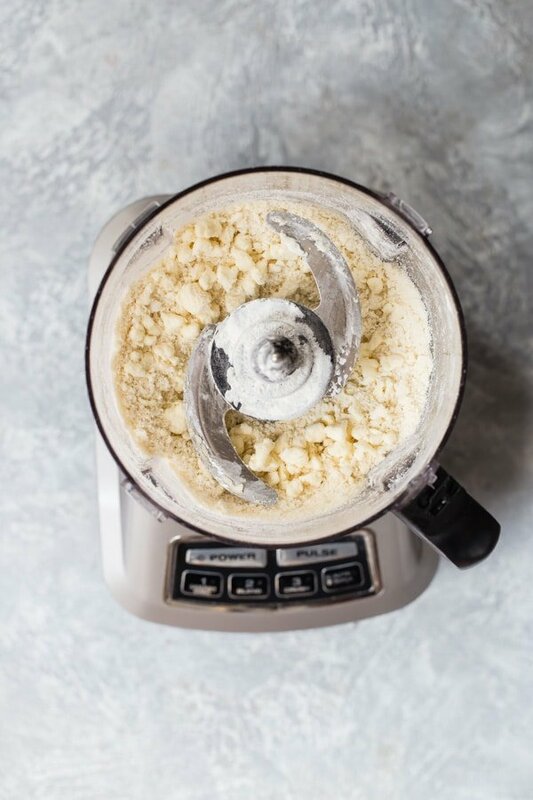 Start by cutting your shortening into small cubes and mixing the flour around them in the food processor, using the pulse button on your machine, if you have one. When you use a machine, you’ll notice that the blades of the processor accomplish the cutting much faster, so make sure you do not over-mix your flour. When using the food processor, it’s best to start with very cold shortening. How do you make a flaky pie crust? Chill your ingredients: Start with cold shortening, cold flour, ice cold water, and even a cold bowl. The colder the ingredients and equipment are, the less risk there will be for the shortening to melt or become overworked, which causes a tough crust. 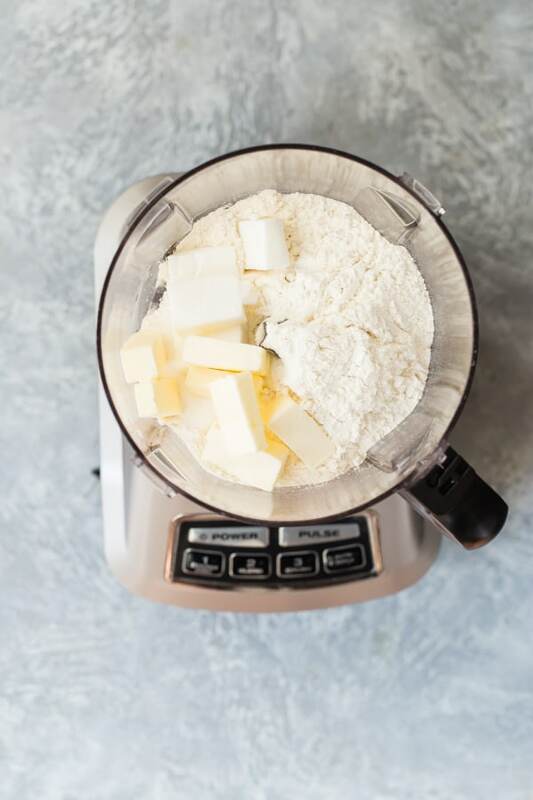 Do not over mix: This recipe calls for you to “cut” the shortening into your batter, making smaller and smaller pieces of shortening mixed with flour. This is the best way to get the most effect out of the shortening and create the “shortest” dough. Kneading pie dough with your hands will warm the shortening and possibly overwork the flour, causing more gluten to develop which makes a tough product. Also, pay attention to the final size of the pieces of the shortening/flour mixture, too. For a flakier crust, look for pea-sized pieces of shortening before you add the water. Once you can just press the dough together with your fingertips, it’s time to form two balls of dough, flatten them, and wrap them up in plastic film. It’s best if you can chill the dough and let it rest: Chilling the dough before you roll it out will make the dough easier to handle and help it become nice and flaky when baked. Also, if your dough gets too warm while you’re rolling it out, stop and chill it for another few minutes before you continue. Technically, shortening is any fat that is solid at room temperature and used in baking; dough is considered “short” if it is more crumbly, mealy, or flaky. Historically, shortening is more a type of ingredient than a specific ingredient, and this includes lard, butter, and margarine. Vegetable shortening, such as Crisco, a mixture of hydrogenated soybean and palm oils, became popular in the 1950s as a shelf stable alternative to butter; today it still makes excellent and very flaky pie crust. Can I make a pie crust with butter? As you might guess, butter has a wonderful flavor and it makes a beautiful pie crust with a whole lot of flake. 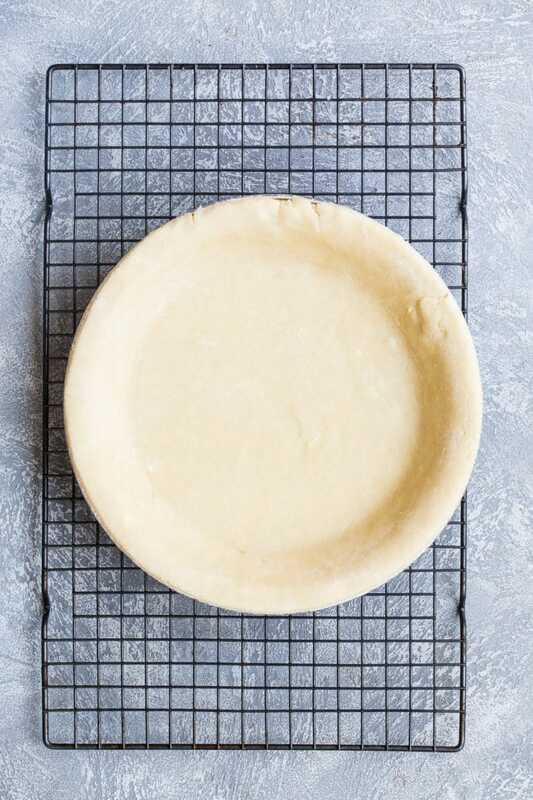 Butter crust needs to be handled carefully, though— it can become fragile if it gets too warm, and difficult to handle if it gets too cold. What can I use instead of a food processor? If you foresee a pie-filled future, but you don’t have a food processor, it helps to have one of these babies, which makes short work of cutting the shortening or butter into the flour. In case you don’t have one, though, you can use two knives. Some clever cooks also freeze their butter or shortening, grate it, and then freeze it again to get a head start on the pastry cutting game. What is the best rolling pin for pie crust? In a pinch, you can use a wine bottle in place of a rolling pin—in fact, many delightful pies have been made this way. If you’re looking to go pro, however, try this one here. Is this a good pie crust for quiche? Since you’re wondering, this pie crust recipe can certainly be used in savory ways, too, for quiches and meat pies, because there’s no sugar in it. Can I make a vegan pie crust? Great news! As long as you use vegetable shortening, this recipe is vegan. What does vinegar do to pie crust? Some people use a little bit of apple cider vinegar in place of the water in their pie dough. Vinegar helps prevent the formation of gluten which is responsible for a tough crust. Use a tablespoon of cider vinegar in place of 1 tablespoon ice water in this recipe if you’d like to give it a try. You bet! To freeze, wrap the unbaked pie crust tightly with waxed paper or plastic freezer wrap, or place in a zip-top freezer bag and seal tightly. As long as it’s rolled out and in a pan, there’s no need to thaw the unbaked crust — you can bake it right out of the freezer. For best results, try to use the frozen dough within 3 months. 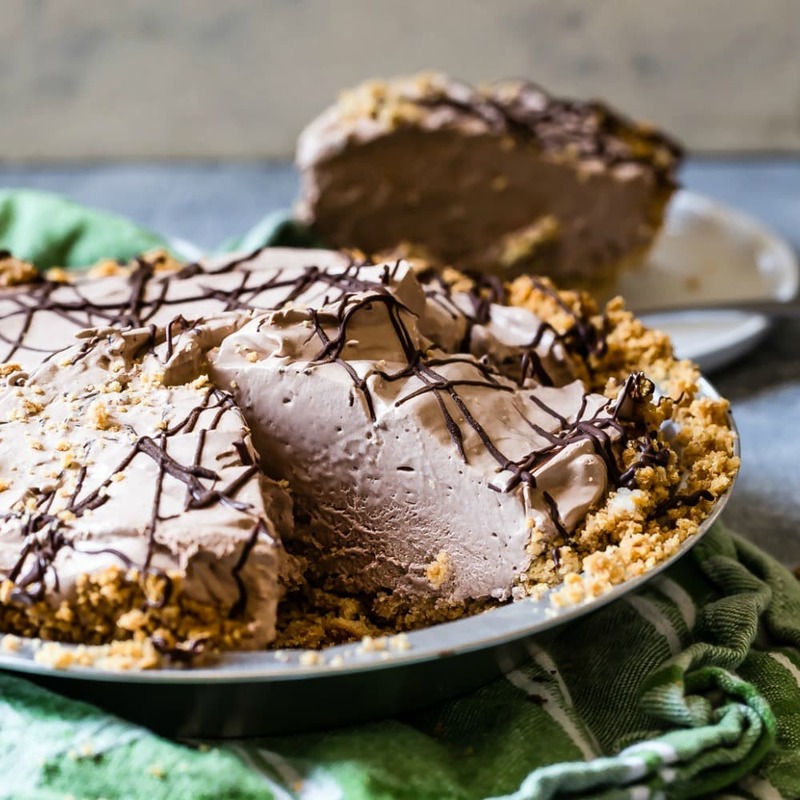 Save How to Make a Pie Crust to your “Desserts” Pinterest board! Preheat oven to 450 degrees. Sift the flour and salt together into the bowl of a food processor; add shortening and pulse until pieces are the size of small peas. Sprinkle 1 tablespoon of the cold water over part of the mixture. Pulse again. Repeat until all the mixture is moistened and just holds together when pressed with fingertips. Divide and form into two balls. Flatten one ball onto a lightly floured surface by pressing with palm of hand three times across in both directions. Roll from center to edge until 1/8-inch thick. 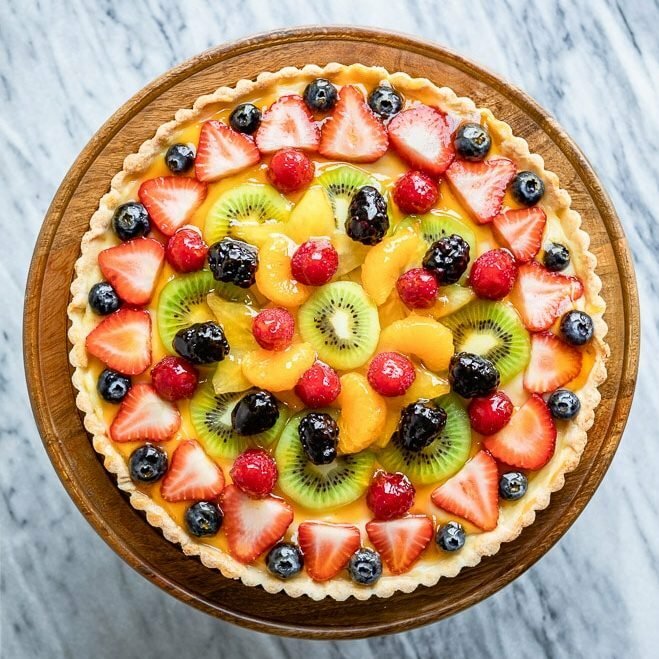 Fit pastry into pie plate; trim 1/2 to 1-inch beyond edge; fold under and flute edge by pressing dough with forefinger against wedge made of finger and thumb of other hand. Prick bottom and sides well with fork. (If filling and crust are baked together, do not prick crust.) Bake until golden brown, about 10 to 12 minutes. Trim lower crust 1/2 inch beyond edge of pie plate. Roll remaining dough 1/8-inch thick. 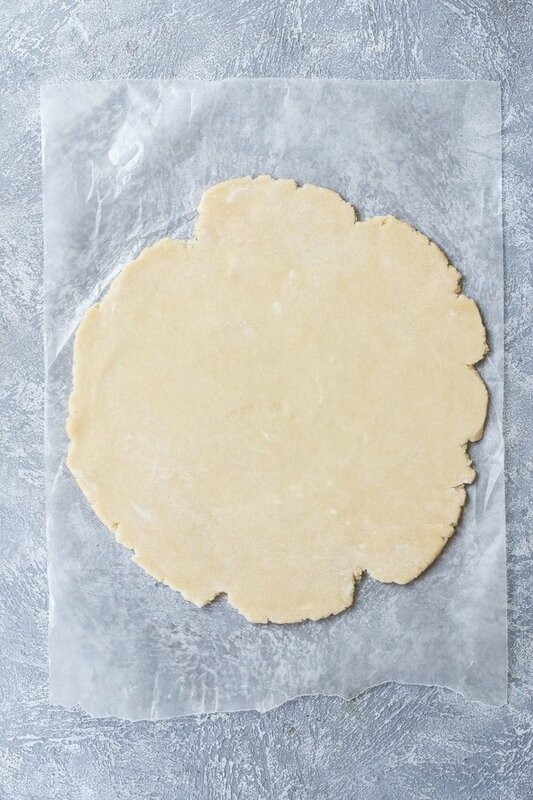 Cut strips of pastry 1/2 to 3/4-inch wide with pastry wheel or knife. Lay strips on filled pie at 1-inch intervals. Fold back alternate strips as you weave cross strips. Trim lattice even with outer rim of pie plate; fold lower crust over strips, Seal; flute edges. Trim lower crust even with rim of pie plate. cut slits in top crust. 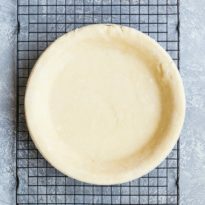 Lift pastry by rolling it over rolling pin; then unroll loosely over well-filled pie. Trim 1/2 inch beyond edge. Tuck top crust under edge of lower crust. Flute edge of pastry as desired. If edge of crust browns too quickly, fold strip of foil around rim of crust, covering fluted edge. Just a little confused. With the butter and shortening recipe you have only 1 TBSP vinegar. Is that the only liquid? And when you suggest trying vinegar you only say 1 teaspoon of vinegar replacing the water. That is a very small amount of vinegar. That was a typo Sue! Thanks for catching that, and sorry. You’ll need 4 to 6 tablespoons of ice cold water (which I’ve now added to the ingredients). You’re 100% right. So sorry about that, and thank you! I will review the write-up and see if 1 teaspoon is right. I know a little goes a long way with that. But let me double-check. Thank you! Sorry again. Some truuly prize content on this site, saved to bookmarks.